The Blue House and Jesmond Dene Road Working group met on Monday 12th December. The notes from the meeting have been uploaded to the working group’s website. As with all our meetings, there has been 100% attendance from all of the groups invited, which highlights the importance and acceptance of the process that Newcastle City Council has adopted. Not forgetting that everyone is also volunteering their time and clearly cares about the outcome. Most importantly there is the opportunity for you to contribute to the Working Group with your thoughts and ideas which we’ll cover at the end of this blog. Please read the notes provided by the Council for a full account of meeting there was considerable discussion on vehicle movements and the impact of the various junctions on traffic, however in this post we’ll focus on topics of particular interest to SPACE. 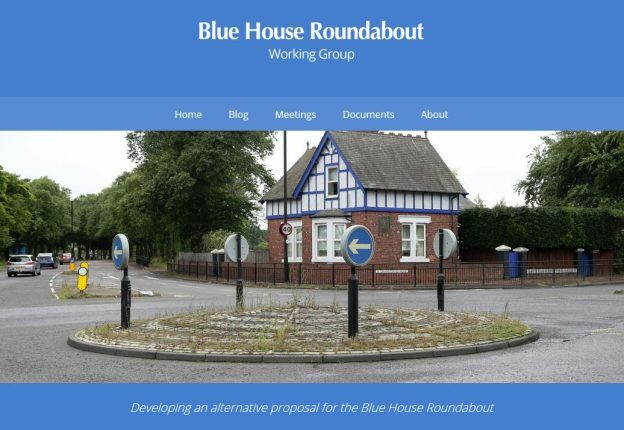 The original plan for Blue House created considerable public engagement against the plan, the challenge for everyone is to harness the same degree of engagement for people to inform the Working Group and the Council on what they do want to see. The Working Group expressed their appreciation for the time and effort that the Digital Civics team had put into supporting the Working Group. The Working Group was once again broken up into smaller groups to discuss the proposals for Jesmond Dene Road as provided by the Council (note this is a large file). The Ilford Road and Moorfield junction needs to be reviewed in conjunction with other changes. SPACE reiterated the above points and other members in the Working Group raised the potential for placing a 2 way cycle bridge across Metro line adjacent to the current road bridge. Is there budget to implement such a scheme? The revised plan did incorporate a pedestrian crossing point between Moorfield and Beatty Avenue. A toucan crossing was also proposed by the council to link ‘the cut’ (aka ‘Friday Fields Cut’) running alongside La Sagesse at the top of Matthew Bank. 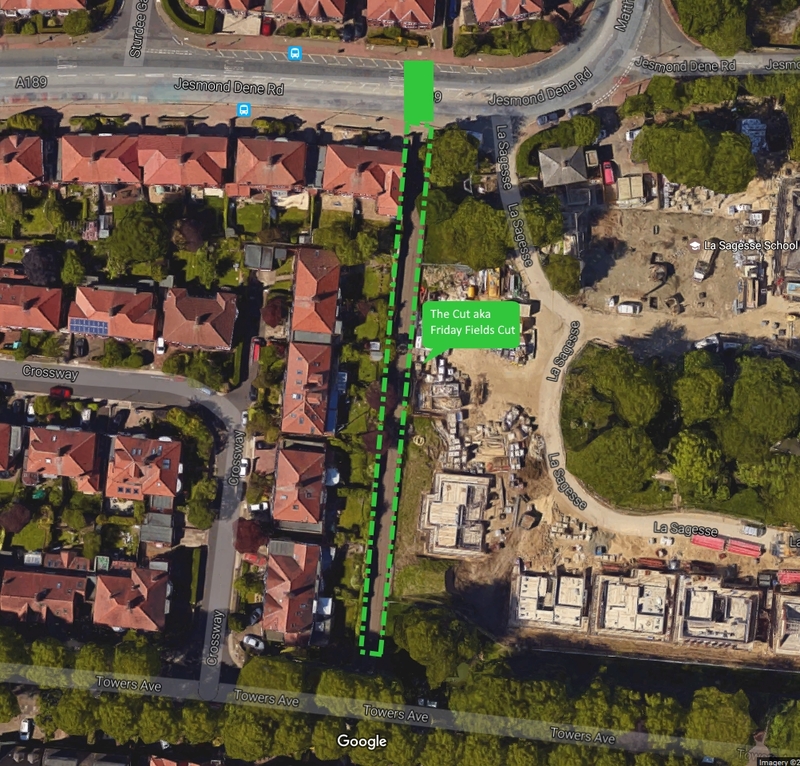 This is a frequent crossing point for residents living in 5 Admirals estate to access Jesmond and its shops and facilities. 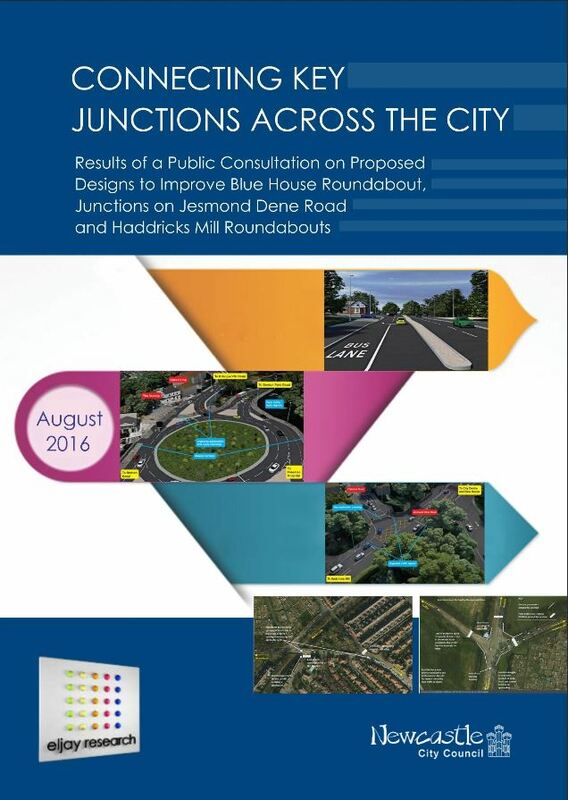 Data was provided analysing the junction performance (in terms of volume and queue lengths) for vehicles approaching the junctions for the three junctions previously assessed in the meetings. Both John Dales and Graham Grant commented that they need to do further work on the information that was being presented in the statistics and forecasting since there appeared to be discrepancies. It was interesting to note that the new designs did not improve on the current traffic situation. However, the designs have to be considered in relation to the current safety record which the council has a duty to address. 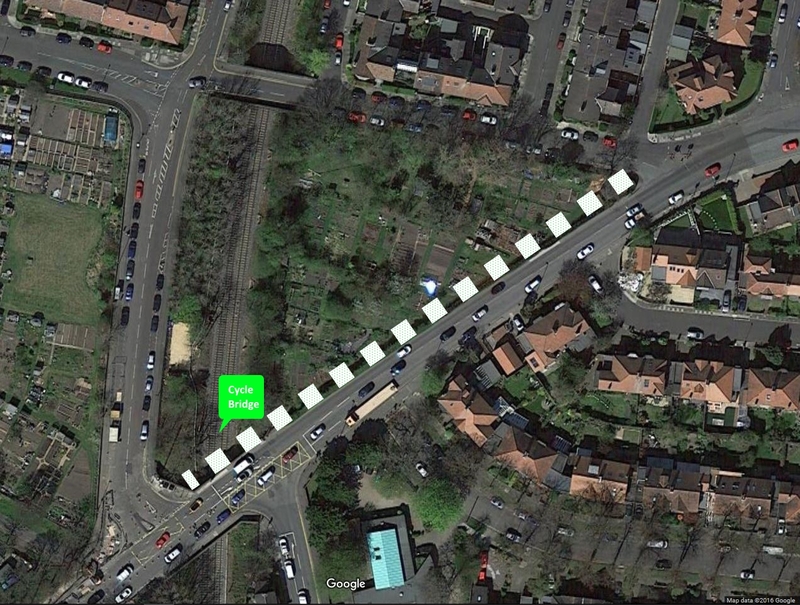 From SPACE for Gosforth’s perspective none of the junctions under study address the fundamental issues of pollution. The data under study reflects the current volumes of traffic, and we already know that this is producing unacceptable levels of pollution since it is part of the Air Quality Management Area since 2011. During the discussion the meeting raised the issue of the goal of less traffic together with better traffic flow to reduce pollution. John Dales summarised the areas of emerging consensus in the working group – the new junction should be at the current location, there should be little or no tree loss, better walking and cycling facilities are essential, and, there is an acceptance that the Blue House itself may be required in terms of space. We should add that no final design has yet been agreed at the Working Group. Graham Grant is preparing a paper to discuss the overall options with the Freemen of the Town Moor in January 2017. John Dales will prepare a paper summarising the outcomes from the last six meetings. In addition, both will look in more detail at the traffic modelling data and make revisions to the plans in preparation for the next meeting. The council said that the Cycling Strategy would be refreshed in 2017 and to this end issued the Working Group with a map of proposed cycling routes which interconnect with the Strategic Cycle Routes. A comment from the meeting was that it is important to understand people’s journeys before devising routes. These routes are purely suggestions at this stage, and the Working Group was asked to consider this map and bring any suggestions to the next meeting. 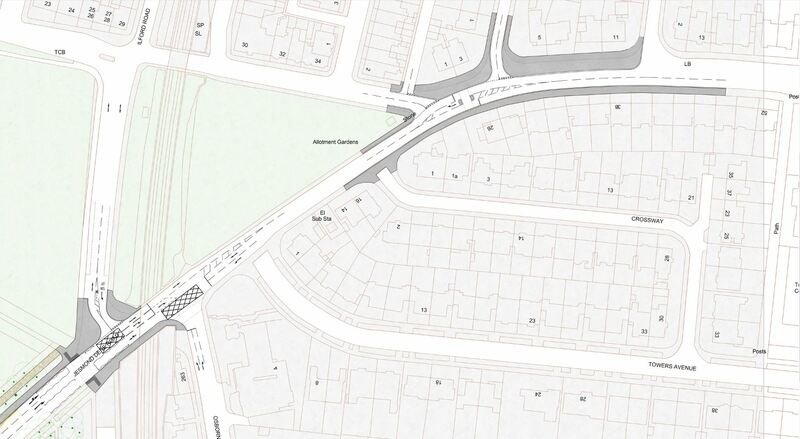 In addition, the Working Group was issued with blank maps of the area surrounding the Blue House junction and asked to consult with their members on areas where ‘rat running’ was taking place or where it was likely to increase as a result of changes. Finally, the Working Group was asked to consult with its members to generate ideas on how to address the issue of forecasted vehicle movements in 2031, and what the council might do to change people’s travel habits in order to ensure that the predicted demand does not emerge. SPACE will follow up on this ‘homework’ but in the meantime we would welcome your thoughts on the topics of ‘rat running’ streets and any ideas you may have to address behaviour change. If you have any questions or comments, you can email SPACE at spaceforgosforth@gmail.com, add comments to this post, make comments on our Facebook page or add comments to the bluehousegroup.org posts. The date of the next meeting is likely to be end of January 2017. Here are my thoughts on the aim to encourage modal shift. Many people prefer to use the car even for short journeys, because it is perceived as the easy option. Car travel will therefore continue to grow unless there are clear incentives for more sustainable options and direct disincentives to use the car. – Real time information at bus stops (long overdue). – Replace dirty diesel buses with an electric fleet. – Car sharing and sustainable travel schemes. The Council should liaise more with large employers to instigate incentives for those who choose to get to work by walking, cycling, using public transport or by giving a lift to colleagues. – Employers should be encouraged to offer Interest-free and tax-free loans to employees buying new bikes to get to work. – Well located Park and Ride schemes on the edges of the City. The one at Newcastle Great Park needs to be promoted so that it works to its full potential. Look at other cities in the UK where Park and Ride has been highly successful and emulate these schemes. – The Council should work with schools (particularly those in affluent areas where children are more likely to be driven to school) to encourage pupils to arrive on foot, cycle or use public transport. Again, providing positive incentives to those who do so is the key. – A Travel awareness campaign. Again, target affluent areas where car use is generally higher. The aim should be to change drivers’ perception of non essential car travel, so that they consider the health and environmental problems caused by their actions. How many of the drivers chugging along the High Street or Haddricks Mill Road think about the noxious fumes belching out of their exhausts and the impact on passing pedestrians, cyclists or those living nearby? I doubt that many do. This is what needs to change, in the way that smokers were made to feel aware of the dangers posed to others by second-hand smoke in the 1990s, drivers need to do the same now. – There should be a levy on drivers entering clean air zones in the city centre and urban areas most affected by traffic pollution. Even modern petrol and diesel cars have filters that do not work effectively at lower speeds and on journeys under 10 km, so the best solution is to charge all cars who enter the designated zones on a rising scale, depending on the frequency of travel, charged per annum. Obviously, there would be some exceptions, for example taxis, electric cars, and those who rely on their car who are less mobile. It is likely that the Government will be forced to introduce legislation along these lines anyway, given that the UK is failing miserably in meeting European emission standards. The above suggestions will go some way to achieving modal shift and perhaps most importantly, cleaner air and a better quality of life for residents. Thank you for your feedback Julie. We will inlcude your comments in our response to NCC. If you were to pick one thing that the Council could do that would incentivise behaviour change which one would you pick from your suggestions? Thanks for including my comments in your response to the Council. If I had to choose one thing it would definitely be the designation of clean air zones which would include areas like Gosforth High Street, Jesmond Dene Road and the city centre. The Government has issued a draft Clean Air Zone Framework (Oct 2016), which sets out the details of how this can be implemented. Charging a fee to cars that enter the designated zones would affect drivers’ decisions on how to travel more than anything else, because monetary cost is generally perceived as being more important than the less tangible air pollution and health costs caused by emissions. Julie, some good points and ideas made. The below is a non SPACE reply by the way, plus some additional ideas open to discussion. Yes, agree on real time info at bus stops. This has been in Gateshead for many years. Why not in Newcastle/across the whole of Tyne and Wear? Also it will be good to see the same thing outside all relevant metro stations as they now have at Central Station. In terms of diesel buses I would suggest hybrids that would have to operate on electrical/ultra-low emission power within certain areas. Nexus should have the power to ask for this when renewing licenses. Also how about banning university students under 25 from using cars? There should really be no need with a good public transport system and university shuttle buses. https://www.bloomberg.com/features/2016-ev-oil-crisis/ is a link to a good article on electric vehicle uptake, though also points out it will be the mid 21st century when things really start to change. Interestingly 90% of world trade is currently moved by diesel power right down to everyone’s favourite Gosforth Shopping Centre Deli’s van. On car sharing and Sustainable Travel to work schemes, this should already be happening as part of certain planning applications, however after a few years it gets left on the shelf and we end up with a situation like the NHS at Newburn Riverside where they now need a car park twice as big as that which is provided. Maybe if NCC gets control of business rate revenues as part of regional devolution it might be something they could insist upon for a continuing discount. Bike to work schemes have existed for some time though they aren’t that well publicised. They should really be compulsory where there are 1 or more employees. Yes there are various park and ride sites including quite a few located at metro stations. However it would seem people think it is cheaper to drive the extra miles to work as they largely only consider fuel costs when comparing and/or the car parks are considered too expensive. There is also some evidence that such sites overall, produce added car borne air pollution as it generates extra car travel away from other modes. How about local authorities taxing company car parking spaces? With regards schools this is a subject too big and too complicated for simple answers. Many people drop of their kids whilst driving to work for instance (my kids go by bus which takes an hour, however my partner could drop them off on the way to work in less than half the time), however it is interesting to note that when a national programme such as ‘cycle to school’ takes place, that the numbers getting dropped off by car drop significantly. I suspect if you pursue ‘A&B’ social grades in order to change behaviour you may get the ‘how much tax I pay’ argument. Bear in mind these are exactly the sort of people all north east authorities are vying to attract/keep within their boundaries. Some schools have experimented with car exclusion zones which might work, though it disperses the problem further afield, though more thinly. How about providing safer cycle lanes for all abilities, safer footways and road crossing points. There’s an argument around Broadway East/West and north of Christon Road that whilst such investment has gone in, it actually has created conflict between all users and reduced highway space for certain users. Whilst bearing in mind those with vehicles pay more tax the more they travel, as a nation we are getting older, more obese and more susceptible to numerous diseases, can we change not only drivers perception in terms of needing to travel and by what means, but also the awareness of the consequences. The press is now full of it and until someone has the guts to add 2p to income tax to tackle such issues, very few people will budge, as they ‘walk’ into the consequences. Fuel has risen approx 5p per litre since the new year and food costs have risen. Has anyone really changed their behaviour? Will there be general acceptance of massive food and general goods cost rises once we switch HGV’s from diesel to alternative (dearer) fuels? This will have a bigger impact than that which is supposed to happen after Brexit. Your point about Clean Air Zones is also interesting but as far as I know this only currently relates to encouraging electric car usage and restricting older commercial (diesel) vehicles in the cities identified http://www.bbc.co.uk/news/uk-37654584. Remember that NCC didn’t implement a CAZ for the centre of Newcastle a few years back on purely economic grounds. However it might now be forced to, with the additional focus on older pre 2005 cars and maybe a government backed scrappage scheme again. Given SPACE’s question of you, my one idea that NCC could initiate under current funding would also be a CAZ but just for the city centre area, given that the implementation of this would have an immediate effect on air pollution along Gosforth High Street, the Great North Road and all other major (bus) routes across the city which go into the centre if companies invest in cleaner technology. Apologises for the length of the ‘reply’ but good that a debate is occurring and that local groups are at the forefront. Thanks Paul, for your comments on my post, which are very useful. I take your point about the potential problems in expanding Park and Ride and the unwanted increases in car borne travel that may result. 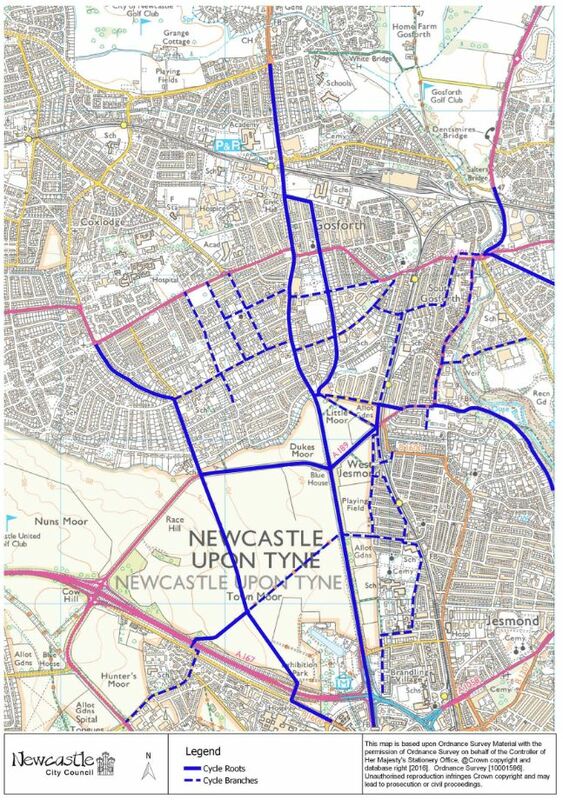 It seems highly unlikely that NCC would pursue more Park and Ride anyway as there is no mention of it in the Core Strategy, and Northumberland/North Tyneside certainly don’t seem to have any incentive to do so. However, I still think that the Park and Ride at Newcastle Great Park is an underused resource, and would, if properly managed, help to reduce traffic flows on highly polluted routes like Gosforth High Street. It may just result in a redistribution of vehicular movements to the periphery of the City, but at least air quality in the most polluted urban areas might be improved. I totally agree that measures should be taken to reduce unnecessary car travel by students. For example, I understand Newcastle College provides free parking for students which makes no sense. I’m not sure what the Universities’ policies are on parking availability but perhaps the Council could initiate parking charges that discourage car travel to and from campus. I also agree that taxing company car parking spaces would be a good idea, and help to challenge the perceived notion that car travel is cheaper than using public transport for journeys to and from work. This would have to be a regional policy though applying to all businesses with car parking spaces above a specified number (otherwise isolated business parks outwith NCC’s boundaries would be at a competitive advantage). With regard to vehicular charges in Clean Air Zones, there is a lot of publicity at the moment demonising diesel vehicles because of nitrogen dioxide emissions but petrol cars emit high levels of other pollutants, especially for short journeys where exhaust filters do not work properly. I understand that the Transport Act 2000 already provides the legislative power for NCC to introduce Clean Air Zones and the draft Clean Air Zone Framework (October 2016) provides detailed guidance on implementation (https://consult.defra.gov.uk>airquality). The draft Framework says that Councils can decide to charge all petrol and diesel cars with the exception of Euro 4 standard (made from 2005) and Euro 6 standard (made from 2016) respectively. One of my main concerns about the growth of car travel is that many of these extra journeys are short in length and are concentrated in suburban areas. Moreover, these journeys are the most polluting in terms of relative emissions because filters get clogged up at lower speeds and when the engine has not warmed up properly. This is why I think it is essential that a CAZ includes the Haddricks Mill Road/Matthew Bank/JDR corridor and another for Gosforth High Street. These are the most polluted areas partly because drivers are jumping into their cars just to go from Jesmond to Gosforth, for example. If these drivers were charged for entering the CAZ, there is the potential that they think twice and choose to walk or cycle instead. I would say that a CAZ in these suburban areas is even more important than one in the city centre because of their predominantly residential character and the overwhelming need to reduce heavy pollution which is affecting human health. I can understand why there might be concern that a prohibitive CAZ in the city centre might prove damaging to the economic viability of the core area. For example, car borne shoppers might be diverted to the Metro Centre, and employment and investment might be attracted to out of town locations. I would therefore suggest, as a starting point, that a city centre CAZ seeks to charge only the most polluting larger vehicles, such as HGVs. Finally, I agree that Newcastle needs a safe network of cycle routes to help achieve modal shift, and this needs to be focussed on cyclist desire lines. It is unfortunate however that where dedicated cycle routes are proposed, this is usually accompanied by the adverse impact of mature trees being felled or root zone damage. We know that there is a high risk that this latter problem will happen on the proposed cycle routes around the Blue House located between avenues of trees, and that these routes must be realigned well away from the trees. Which brings me to the proposed realignment and widening of Killingworth Road, which includes a two-way cycle path. A planning application is imminent for these works which would require the felling of over 500 trees. There is a current TPO application (2017/0192/01/TRE) with accompanying documents which show the proposed mitigation works, which are limited to a tree belt immediately adjacent to the felled area. This proposal puts the original Blue House mega roundabout in the shade in terms of the sheer number of trees destined to be felled, and I think the Council should be pressed to provide additional compensation of woodland and ecological measures in the wider Jesmond Dene/ urban fringe wildlife corridor network. Comments can be made on the TPO application on the Council’s public access page. As it appears not a lot has changed ‘plan-wise’ from that shown at Meeting 5 and the working group facilitators are finding it hard to reply to comments made on the working group website, to make it simple i’ll list 7 points/questions I made after the 5th meeting so someone somewhere can get back to me/everyone. Why is it proposed that the northbound GNR bus lane is extended north of Forsyth Rd? Why are the plans showing a number of instances of two marked lanes turning into one wide lane (and then sometimes back into two)? Where has the bus lane northbound on GNR, north of BHR, gone? With new off-road shared surface paths suggested, what happens to the existing shared paths? Does the highway design allow for safe on-road cycling still ie increased width? The proposed off-road paths shown between the existing avenue of trees will cause significant root damage leading to countless tree deaths. Are people happy about this? And finally in order to improve visibility and create room, surely the Blue House can be lifted and moved slightly NW? This is to ensure that buses are given priority on the approach to the roundabout. I’ve quickly reviewed the plans but haven’t spotted the plan(s) where variable lanes have been incorporated. Could you provide a couple of specific examples? There is no plan to remove the northbound bus lane – it’s just been missed on these “discussion” plans. The new paths are not shared, one path would be for walking and one path for cycling to remove conflict. The existing paths could remain but dedicated to either walking or cycling. Our (SPACE) objective is to provide safe separated cycle lanes and argue that (particularly on the busy roads around Blue House) on-road cycling should not be considered as part of the solution. Please see our Measures of Success – Part Two article. There hasn’t been a specific discussion on the construction and materials for this “avenue”, however I can assure you that protection of the Town Moor trees is one of the top two priorities for most of the Working Group representatives. I’m sure technically that would be achievable, but hasn’t been raised as an option in discussion – possibly due to cost – but yes, you’re right, that would certainly improve visibility. Thanks for the reply with my reply in order. My view on the extension of the northbound bus lane towards BHR is that its inclusion will have little effect on improving bus movements through the junction , but will have an increased effect on traffic building up further onto the central motorway at pm peak times. In terms of two lanes into one, it is proposed turning eastbound onto JDR from BHR with potential issues compounded by the location of the proposed toucan crossing. JDR is currently not all marked for 2 lanes in both direction, but at peak times traffic tends to sort it self into 2 lanes in both direction. If JDR is potentially wide enough for two lanes why doesn’t the drawing indicate this? The northbound bus lane north of BHR needs to be included in the plan so people can clearly understand how traffic movements work with the toucan crossing and road narrowing prior to the bus lane. Again I would suggest the proposed location of the toucan crossing compounds (existing) issues. Which paths are going to be for which user? Simple question. Will the design allow for safe on-road cycle movements, or will on-road cycle movements around this junction be prohibited? With regards suggested paths between tree avenues, this needs to be discussed urgently as their location and route are key to this particular design proposal and their implementation (design dependent) will seriously reduce the lifespan of all the affected trees (need for more yellow ribbon!). The use of a no dig solution using a geocell might get over this but would be expensive and the surface roughly finished. If these routes are key and no obvious alternative then an assurance pre-project approval from NCC that a no-dig solution would occur is required. And whilst you might say I am talking ‘detail’, it has been the serious lack of detail in previous Great North Road schemes at this point in the process which has subsequently caused many issues and complaints. Re moving Blue House, this is a relatively simple engineering solution carried out all over the world. If JDR is potentially wide enough for two lanes why doesn’t the drawing indicate this? Would suggest this is down to the drawings being “work in progress” and the majority of traffic heading east on JDR queues in a single file so two lanes wouldn’t have a major impact on the traffic modelling data. Not sure that from a road design standard (i.e. minimum widths for lanes) that JDR can accommodate two lanes. I think that someone heading east on the outside crosses the middle of the road by a couple of feet? Which paths are going to be for which user? There hasn’t been a decision on what will be footway and what will be cycle track. Will the design allow for safe on-road cycle movements, or will on-road cycle movements around this junction be prohibited? On-road cycle movements haven’t been discussed as being prohibited (not sure that legally that would be possible as it’s not a motorway) however SPACE is more concerned with ensuring that separated cycle lanes are provisioned away from vehicles. Re: your comments on the “avenue” between trees. We agree with your concern on the potential impact on the existing trees – indeed there are several members of the Group who have a particular focus on preserving the Town Moor and its natural environment. If you could tell me why my reply from two weeks ago on ideas raised by Julie (19.01.17) is still awaiting moderation it would be much appreciated, then I could amend etc if required. Our apologies, no intentional reason, your post was missed and a notification doesn’t appear to have popped up in our email inbox or perhaps it was accidently deleted. Please rest assured that your input is valued and appreciated and thanks for bringing it to our attention. Please can Space clarify what is happening with the Blue House working group as I understood that there was to be a further meeting at the end of January to discuss unresolved issues. Thank you. For a variety of issues, largely availability of everyone and the half term, the next Blue House Working Group meeting is scheduled for Monday 13th March, 2017. Thanks for the information. I’m not sure if you are aware that the notes of the meeting held in December on the Blue House website have been hacked and are no longer on line.